I prepared this Punjabiwala Shahi paneer with the paneer paratha.Very good combination with full of protein.This is a tomato based and cashew based gravy.You may prepare this same preparation with egg,babycorn or even with mixed veggies.I read this recipe in Nita Mehta’s cookery book and prepared according to my needs and with variations. Grind the ingredients under Masala. Heat ghee and fry the paste until the ghee separates,add all powders one by one and fry for a minute. Add cashew paste and stir well to mix,adjust the consistency of the gravy adding the water or milk accordingly. Add the paneer cubes and give it a boil. Hi! 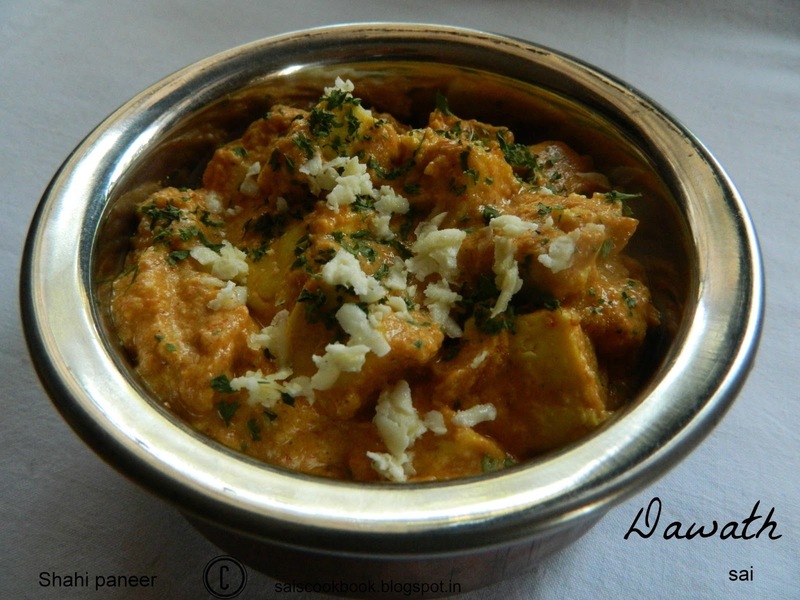 Your shahi paneer recipe was nominated as one of the “Best Shahi Paneer Recipes on the Net”. 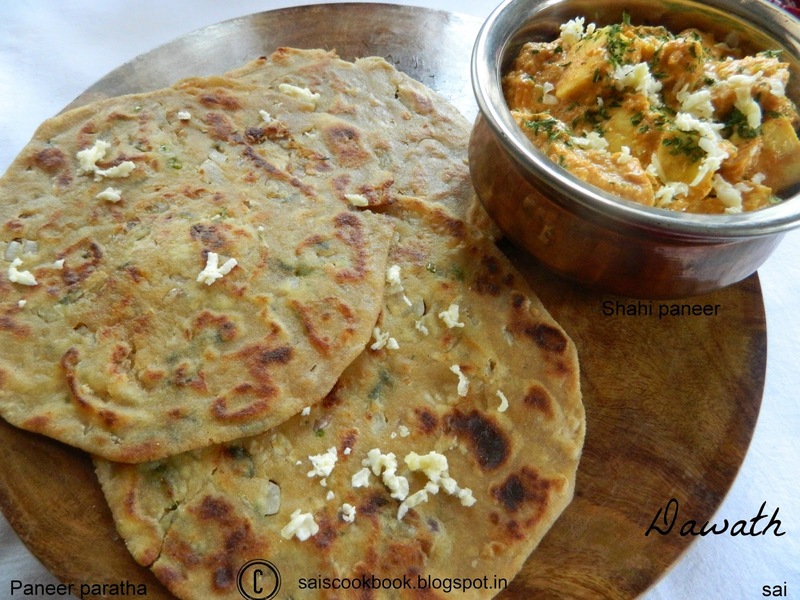 To vote for it, please visit http://easyindianrecipes.org/side-dish-recipes/best-shahi-paneer-recipes-on-the-net-vote-for-your-favorite/ – your recipe is positioned at #142 (random order).